This knight door hanger is awesome for your little knight in shining armour! It will look really cool on his door and he will love receiving it as a gift. The door hanger is double sided so is very thick and robust. The design features a brave knight, with the text ‘Keep out! Beware of the dragons!’ on one side and ‘Welcome! Please take your seat at the round table!’ on the reverse side. 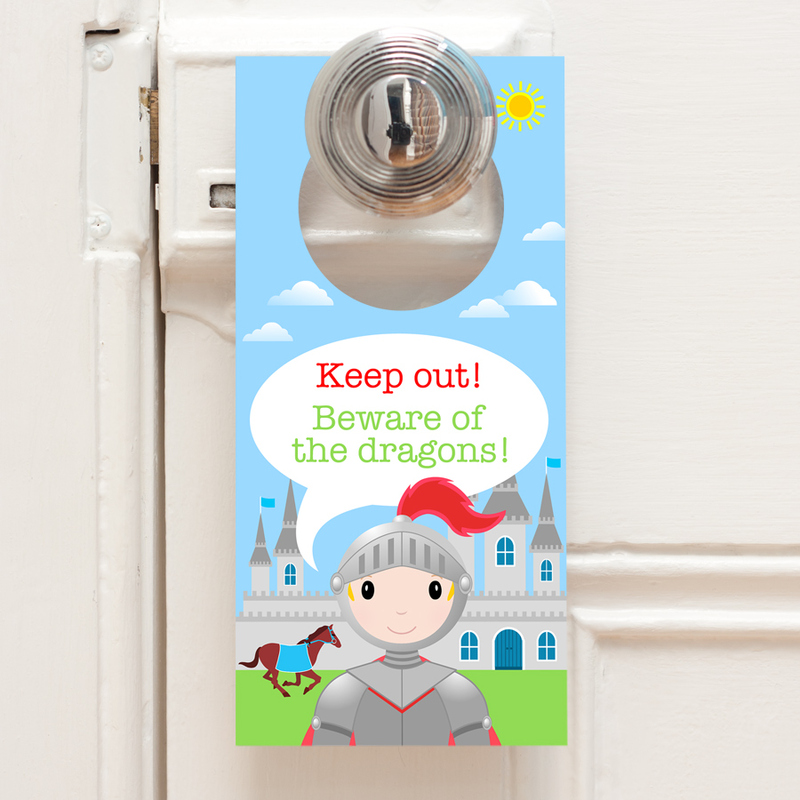 The child will have lots of fun deciding which side of the door hanger to show on their bedroom door! 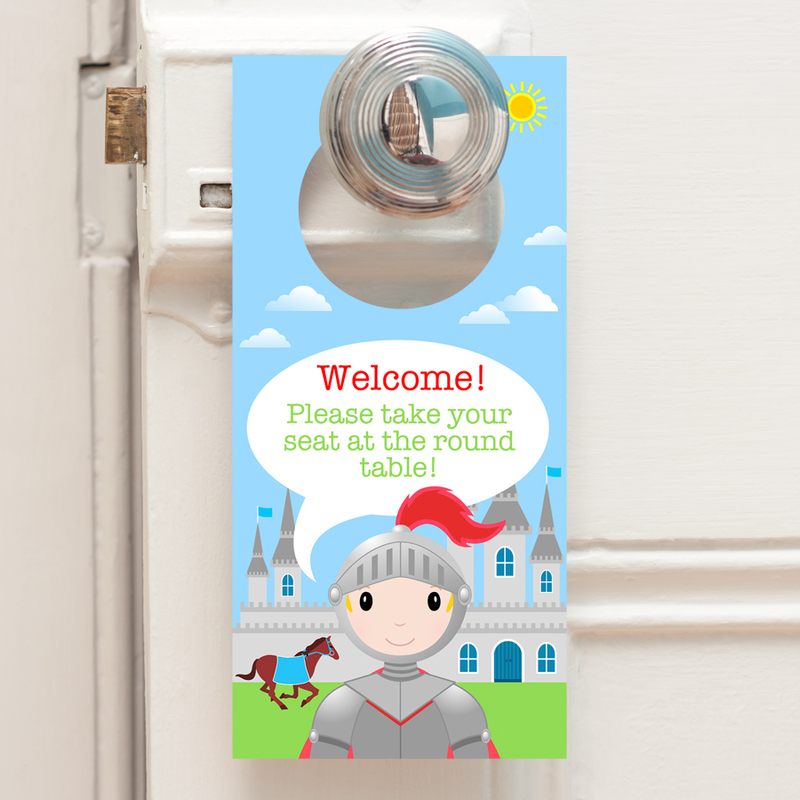 Be the first to review “Knight – Double Sided Door Hanger” Click here to cancel reply.